‘The sheer size of what we were looking at took our breath away.’ Now for the hard part — keeping it that way. Hearing of that super-colony of Antarctic penguins spotted from space, I immediately thought about The Lost World. Not the part about how Sir Arthur Conan Doyle’s band of Victorian explorers discovered a lost world of dinosaurs and early humans hidden on a towering mountain plateau in the jungles of Venezuela, but rather the part about how, having stumbled over a find of extraordinary and rare beauty, they weighed whether or not to tell the outside world. Late last week, the journal Scientific Reports announced the discovery of a previously unknown “super-colony” of Adélie penguins in the east Antarctic peninsular. The find was dramatic, the “how” somewhat less so. The colony numbers more than 1.5 million birds, a sizeable number by any reckoning, but especially in the facts-challenged world of 2018. The penguins were spotted living among and around a rocky archipelago in east Antarctica known as the Danger Islands — aptly named, as it turns out — after gargantuan patches of their guano appeared in images taken by the US Landsat satellite. This was one satellite picture of the polar regions that wasn’t all about the melting ice cap. For that reason alone, it immediately caused a stir. Researchers used a computer algorithm to scan images for signs of possible penguin activity. The scientists were genuinely surprised by the scale of their find, as University of Oxford researcher and science team-member Dr. Tom Hart told BBC News. As Heather Lynch, a researcher with Stony Brook University in Long Island, New York, told BBC. Knowing how many penguins there are is one thing. Ensuring their survival for future generations — future generations of people, as well as penguins — is another entirely. The discovery will only truly mean something if a long-proposed marine protected area is signed into international law, a super-protected area, if you will, for the super-colony of penguins, and other Antarctic species. It’s a big deal because, continent-wide, Adélie penguin populations have fallen by more than 65% in just the past 25 years, according to some estimates. Just in the last seven years, thousands of chicks died in an unexplained mass die-off of chicks and stillbirths in the west Antarctic peninsular. Some conservationists are concerned that the discovery will lead people to think that the Antarctic isn’t in so much trouble, after all. To most people’s minds, endangered animals are either endangered or they aren’t. Mid- and long-term factors like habitat loss caused by climate change, which manifests itself in the form of warmer, more acidic waters, loss of sea ice and mass die-offs of krill, plankton and other micro-organisms that underpin the entire ecosystem, are harder to weigh in the mind than waking up one morning to learn that all the penguins have suddenly disappeared. The Danger Islands lie in an area of the Weddell Sea that has yet to feel the effects of climate change the way other parts of Antarctica have. That doesn’t mean the Adélie penguins, all 1.5 million of them, are out of danger, though. It was Einstein, after all, who said that whoever is careless with the truth in small matters cannot be trusted with important matters. Big Cats Initiative + World Wildlife Day = Causing an uproar. Think about this: We have lost 95% of the world’s wild tigers in the past century. 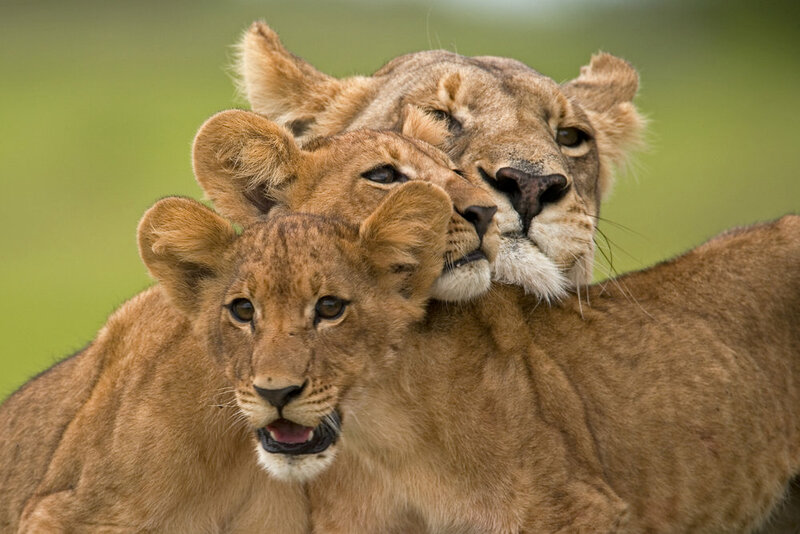 During that time, lion populations have crashed 40% — in just three generations. That’s just one reason why, this year, World Wildlife Day (Saturday) is focusing on the plight facing the world’s #BigCats. This may sound obvious to anyone who’s thought about the implications — long-term and short-term — of overpopulation, climate change and rampant consumption, but to hear Dereck and Beverly Joubert tell it, it’s not obvious at all to ordinary, everyday people who are too busy feeding their families and keeping a roof over their heads to worry about whether lions will go the way of the Tasmanian tiger and sabre-toothed cat. Historically, the Tasmanian tiger — once found throughout the continent of Australia — became extinct on the mainland some 3,000 years ago. 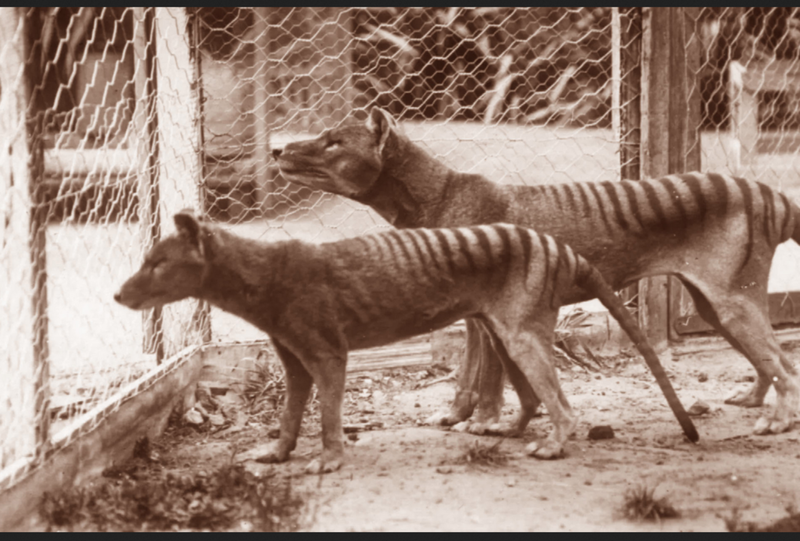 The last known Tasmanian tiger died at Australia’s Hobart Zoo in 1936; the species was declared extinct in 1982. Unless something is done, and done quickly, the Jouberts told a rapt audience several years ago at a meeting of the Television Critics Association in Beverly Hills, Calif., iconic apex predators like the lion, tiger, jaguar, puma, cheetah and leopard could vanish by mid-century. “We’ve been studying and looking at big cats now for about 30 years,” Dereck Joubert told reporters at a meeting sponsored by National Geographic’s NatGeoWild digital channel, “and one of the alarming things for us, which was the genesis of (this project) actually, was the realization that, in our lifetimes, lions have dropped from 450,000 down to 20,000, and leopard numbers are from 700,000 down to about 50,000. If you take an extension of that curve, you will imagine these big cats to be extinct within the next 10 or 15 years. As World Wildlife Day dawns, CITES (the Convention on International Trade in Endangered Species of Wild Fauna and Flora) is anxious to put a familiar face on wildlife conservation efforts around the world. It isn’t just to do with lions, of course, but lions are an emblematic symbol that almost anyone can recognize, from the youngest child to the most jaded, cynical adult. “What’s important ultimately, and what's going to help us with the Big Cats Initiative, is getting the message out,” Beverly Joubert said. “A lot of people don't believe there is even a problem, so they say, ‘Why should we worry?’ Through the Big Cats Initiative, we've managed to raise money for cheetahs, for example, so we will have a lot of cheetah programs out there. We're not only looking at lions and leopards. Apologists for the hunting industry often argue that hunting is vital economically for species survival. Balderdash, Dereck Joubert scoffs — though he’s inclined to use a stronger modifier. Learning endangered species’ day-to-day life habits is key to ensuring its long-term survival, Beverly Joubert added. That’s part of what the Big Cats Initiative is all about and, in the bigger picture, World Wildlife Day itself. World Wildlife Day could just as easily be about the dung beetle or leopard tortoise, Dereck Joubert believes. “There are a number of great iconic species, and I think it’s our job to pick them and highlight them. The conservation that goes on around these other species is just as valid, but you gotta pick the cheerleaders. “Also, we have a lot more fun filming lions that dung beetles,” he said. “But we still film those dung beetles,” Beverly Joubert chimed in. Poisonous toads, bleached coral, debt forgiveness and 2 new marine parks. Poisonous toads, bleached coral, sloppy tourists, debt forgiveness and two new marine parks — this has been the past week in enviro-news. An invasion of toxic toads from Asia is threatening what’s left of Madagascar’s already fragile ecosystem, according to a report in Sunday’s Observer by The Guardian global environment editor Jonathan Watts. The numbers are frightening, and the speed with which it’s happened has taken even most pessimistic conservation estimates by surprise. In slightly more positive news, the Seychelles has established a pair of vast marine preserves in a world first. The proposal, as reported by Guardian environment editor David Carrington, would enshrine marine protection in exchange for debt forgiveness. It’s an innovative scheme backed by the likes of ardent conservationist and enviro-crusader Leonardo DiCaprio, and if the calculations are right it could conceivably show the way to saving large expanses of the world’s oceans. And in another Sunday Observer report, Guardian culture editor Hannah Ellis-Petersen asks whether a temporary ban on tourists can help save the Thailand beach made famous in the Leonardo DiCaprio movie — yes, DiCaprio again — The Beach. Much like the ecosystem itself, the three stories are different and yet connected in important ways. Tourism — too many people, treading on fragile coral and smashing their way through previously pristine wilderness areas — climate change and invasive species all play their part. The crisis facing Madagascar seems especially poignant, because it mirrors what has already happened in one island paradise — Hawaii — and could conceivably be a harbinger of things to come in the Galapagos Islands. Much as rats arrived in Hawaii, the Asian common toad, Duttaphrynus melanostictus, is believed to have been a stowaway aboard a ship from far away, in this case a container ship from Vietnam unloaded at a Madagascar port and then accidentally opened a nickel processing plant. (Nickel, used in smartphones and other handheld devices, is a huge driver of Madagascar’s otherwise rocky economy.) The toads are large, nondescript looking and poisonous. They lack the bright markings and vibrant colours that would otherwise warn predators like snakes and birds to stay away. They’re bigger and tougher than the local toads, and they breed, well, like rats, only more so. Frogs local to Madagascar lay roughly 10 eggs at a time; the Asian toad spawns an estimated 10,000 to 40,000 at a time. The Asian toad was first spotted, so to speak, in Madagascar in 2008. Today, it’s believed there may be as many as 7 million of them — by conservative estimates. More liberal estimates put the number closer to 21 million. It matters because, in the short term, biologists worry the toad will spread to the Betampona Nature Reserve, home to Madagascar’s famous ring-tailed lemurs. The toads do not pose a direct threat to the lemurs, which are critically endangered as it is, but could prove deadly to the forest the lemurs depend on to survive. It’s the story of the world’s ecosystems in microcosm: The smallest player in the circle of life plays a major role in the big picture, regardless of size. Once again, humankind has interfered in the natural order of things. Even a casual reading of the situation suggests it may already be too late. All power, then, to the Seychelles scheme, which — if it pans out, and even if it doesn’t — is at least trying to address the problem, rather than add to the already growing litany of environmental woes. Dubbed tongue-in-cheek as “Debt for Dolphins,” the Indian Ocean nation of Seychelles will establish two large marine parks in exchange for much of its national debit to be written off. If enacted, the legislation will throw a lifeline to tuna, dolphins, sharks and turtles caught in fishing nets, as create a barrier against overfishing. 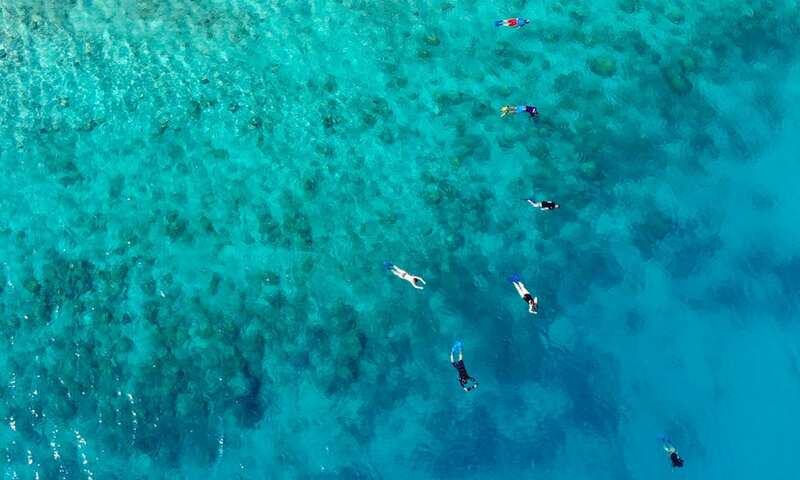 Seychelles relies on tourism for a large portion of its foreign exchange, but tourists are unlikely to come to dive if there is nothing to see underwater. That’s especially true of the coral reefs, which sustain marine life and are under threat from “bleaching” — the whitening that results when ocean temperatures rise precipitously and the living coral dies — throughout the world’s tropical seas. Again, why care about the Seychelles? Simply, the Aldabra archipelago, Seychelles’ jewel in the crown of biodiversity, rivals the Galapagos in ecological importance, marine scientists say. It’s not just manta rays, humpback whales, tiger sharks and clownfish, or ‘nemos’ as some call them, either. Aldabra is home to the dugong, or sea cow, said to be the single most endangered species in the entire Indian Ocean. Some 100,000 rare giant tortoises roam the tropical beaches and swim the local waters. The protected marine reserve at Aldabra will encompass some 74,000 square kilometres (28,500 square miles), roughly the size of Scotland. A second, even larger marine reserve, 134,000 square km in all (52,000 square miles) is centred on the main Seychelles island of Mahe. Enforcement may no longer be the bugaboo it once was, either: New satellite programs are being designed to monitor fishing boats from space and detect erratic or illegal fishing patterns. Another potential solution — albeit temporary — to the crisis facing the world’s surviving coral reefs is about to tried in Thailand, on the sands of Maya Bay, the cove on the small island of Koh Phi Phi Leh made famous in Danny Boyle’s 2000 cult film The Beach, starring a young Leonardo DiCaprio as a disaffected backpacker who tries to find paradise — and encounters greed, lust and murder instead — on an idyllic, untrammelled beach in Thailand. Maya Bay is no longer untrammelled. The tiny, white-sand cove is now so choked with so many tourists that 80% of the coral has been destroyed. The despoiling of Maya Bay mirrors the destruction of once-pristine coves and beaches throughout Southeast Asia. Money trumps the environment every time, even though it’s the environment that attracts tourist dollars in the first place. Now, recent announcements from Thailand’s government suggest Maya Bay could be closed to visitors for as long as six months, to give the fragile marine environment time to recover. The Philippines is reportedly considering a similar action for its equally famous — and equally troubled — island of Boracay. More than 2 million tourists descend on the eight km-long (5 miles) every year. It’s not hard to imagine raw sewage and detritus from construction sites will destroy what’s left of the coral — and this after a massive die-off in 2015 sounded an alarm in conservation circles, though not among the developers themselves, it would appear. It may already be too late, of course. Jojo Rodriguez, an NGO marine conservationist who has been monitoring Boracay’s coral reefs since 2012, told the Sunday Observer that it will take more than six months to solve the problem. “Maybe 60 years, if we are lucky,” Rodriguez told the paper. As campaigners point out, though, Southeast Asia’s coral reefs continue to die. A six-month ban on tourism may not seem like much — and it isn’t — but it’s a start. Watching the world change: The images that shaped and reflected our world in 2017. Each year, the World Press Photo Awards present a unique and unsettling account of the previous year in human history. There are so many annual photography competitions these days it’s a wonder that anyone with a camera hasn’t won something, somewhere. There’s something particularly affecting and powerful about photojournalists recognizing their own, however. These are often images from the frontlines of war and human conflict, but there are always one or two that reflect humanity at its most aspirational and forgiving. The nominated photographers here — I’ve selected 20 choices from the dozens of images that made the shortlist — share one thing in common, apart from a keen eye and an ability to keep their camera in focus under often trying circumstance. They are men and women who, in facing a crisis, captured a photographic record of that crisis. In so doing, they laid bare the emotion of that moment for the world’s eyes. Many of these images are hard to take in. Some are controversial. Many are profound. They all have something to say. None of them are boring. Advances in digital photography and the Internet ensure they will never be forgotten. We live in a visual age, where exploitation and redemption are often intertwined. These images show how photography, in the words of former Life magazine creative director and Vanity Fair editor-of-creative-development David Friend, help us to witness, to grieve, and finally to understand the unimaginable. The World Press Photo’s prestigious “Photo of the Year” award has been whittled down to six finalists. I’ve placed those six finalists at the top of the 20 I’ve included below, if only to show that they all share compelling qualities. The top prize traditionally awarded to the photographer whose creative expression captured an issue of journalistic importance in a way that made us think. This year’s jury was chaired by Magdalena Herrera, director-of-photography for Geo magazine. Three of the six shortlisted images were taken by freelance photographers on assignment for the Times. The remaining images were taken by photographers working for UNICEF, Reuters and Agence France-Presse. Finalists in all categories were chosen from photographers representing 125 countries. Herrera and her fellow jurors whittled the field down to 42 nominees in eight categories, including Photo of the Year. There has been controversy in the past over photo manipulation, with some entries being disqualified after the fact. The World Press Photo Foundation now examines the RAW picture files of all images that make it to the final rounds of judging. As many as 20 percent of images reaching the final rounds have been disqualified over the last three years, most often for “excessive post processing” — a polite way of saying too much digital manipulation in Lightroom and Photoshop. The winners will be announced on April 12th at the 2018 World Press Photo Awards Show in Amsterdam. The winning pictures are traditionally assembled into an exhibition that travels to 45 countries and is seen by an estimated 4 million people each year. Here, then, are 20 selections from this year’s 40-plus nominees. 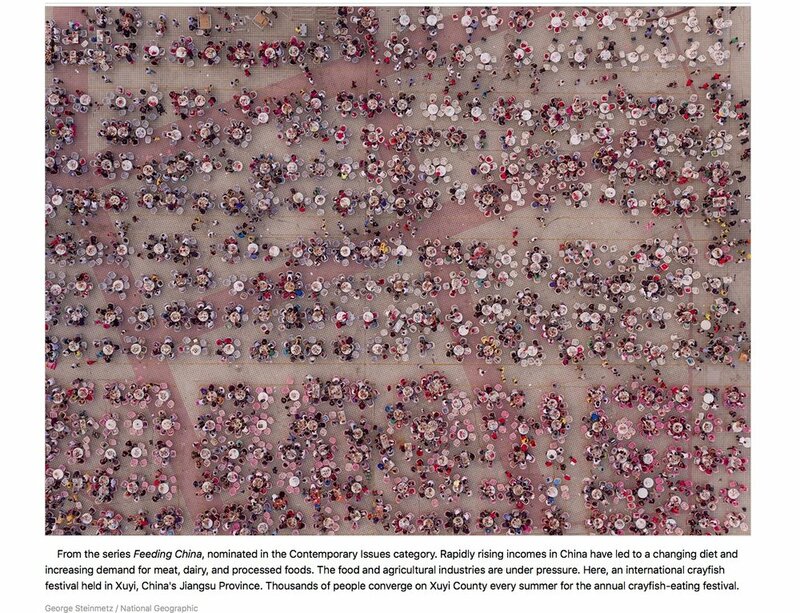 Captions were collated by The Atlantic from material provided by the World Press Photo Foundation. The first six have been shortlisted for World Press Photo of the Year. The remaining 14 are my own choices — I curated them, if you will, from the remaining 3—plus finalists, and reflect my own tastes and biases — the environment, species survival, African wildlife, spot news and international reportage. I've saved, well, not the best exactly for last, but I have saved a kick for the end. As always, the photographer’s name and copyright information is embedded in the photo itself, using Squarespace’s “caption overlay on hover” function. Please be warned. Many of these images are graphic, and some are disturbing. As they’re meant to be. Others — the elephant, for example — are quite beautiful. Disturbing and beautiful. Such is the world. World Pangolin Day: a rallying cry for the world’s most trafficked mammal. 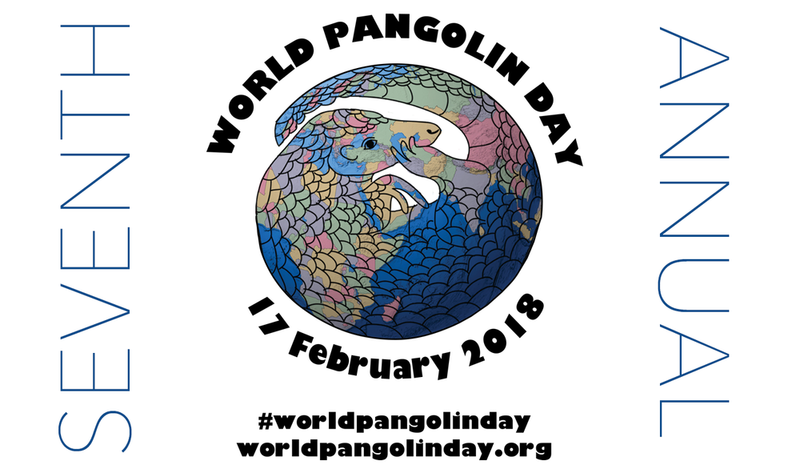 Today, Saturday, is World Pangolin Day. Little is known about the animal dubbed “the world’s most trafficked mammal” except that it physically resembles an anteater, does not do well in captivity and is over-hunted throughout its range in Africa and Asia. It’s hunted both for its meat — pangolin is one of the most sought-after types of bush meat — and for its scales, which local healers believe to be a potent and powerful source of traditional medicine. The pangolin faces the same parade of threats that confront so much of Africa and Asia’s wildlife: Deforestation, climate change and illegal hunting, much of it for the restaurant trade in China and Vietnam, where pangolin is considered a delicacy. More than a million pangolins are believed to have perished in the past decade alone, according to some estimates. ‘Estimate’ is the key word here because so little is known about their habits, Pangolins are nocturnal and largely solitary — they meet only to mate — and give birth to just one offspring at a time. They have weak eyesight and rely on a keen sense of hearing and sense of smell to survive. They’re picky eaters and subsist on ants and termites, but only certain types. They will eat just one or two species of insects, even when many species are available to them, this, according to a 2015 study by the University of Wisconsin. There is poaching, and then there is annihilation. The International Union for the Conservation of Nature (IUCN) officially lists the eight known species of pangolin on its Red List of Threatened Species as “Critically Endangered” but that only tells half the story. There’s a war going on, and pangolins are fast falling victim to the numbers game. More than 10,000 kg (11 soft tons) of illegally traded pangolin meet were seized from a Chinese ship that ran aground in the Philippines in 2013. An Indonesian man was arrested in 2016 after police raided his home and found nearly 700 pangolins in freezers on his property, according to news reports from the Associated Press and BBC News. More recently, in October last year, more than 100 pangolins were rescued alive after an anti-smuggling raid on a fishing boat off the east coast of Sumatra, as reported at the time by National Geographic. The Wildlife Conservation Society (WCS) notes smugglers have changed their habits in recent years. Whereas before they used large, freeze-controlled shipping containers on container ships that could only be accommodated by major seaports, they’re now turning to smaller shipments of live pangolins on small fishing boats that tack from one small port to another, making them that much harder to trace and apprehend. And all this, because so many people in China and southern Asia believe the pangolin — about the size of a domestic cat — can treat stomach cramps, aid lactation and is a potential cure for cancer. Some believe pangolin soup — “pangolin fetus soup,” to be precise — enhances virility and helps reverse impotency, even though it goes without saying there’s no scientific evidence to back it up — any of it. Even so, the scales from a single pangolin can command as much as USD $3,000 across China and Vietnam. Quite apart from the ethical and moral considerations of species extinction through sheer ignorance and greed, scientists are particularly aggrieved over the pangolin’s plight because it’s genetically distinct from any other animal. It might look like an anteater, but it isn’t one. Despite its nickname, “scaly anteater,” the pangolin is its own separate, distinct species. A plan to boost captive breeding in zoos, through a specially designed breeding program, may be doomed to failure, some critics say, because pangolins don’t fare well in captivity. They’re susceptible to common diseases like pneumonia, and often contract severe stomach ulcers — not helped by their picky their dietary habits. All that said, there is some reason for hope. Small, grassroots conservation groups, working on the ground in wilderness areas of Africa where pangolins are known to live, have had some success. Maria Diekmann, director of the locally based conservancy Rare & Endangered Species Trust (http://www.restnamibia.org / http://restnamibia.org/sponsors.html ) in Outjo, Namibia has successfully raised a number of orphaned pangolins from a young age, the first time that is believed to have been done. REST researchers have recently outfitted adolescent pangolins with tracking devices and released them into the bush, to monitor and record their habits in the wild. The more we learn about pangolins, Diekmann believes, the more chance there is of saving them. World Pangolin Day is more than an empty cry for help. It’s a bid to raise awareness and galvanize people to action. South Africa has some of the toughest legislation against wildlife trafficking in the world, for example. The fine for being caught in possession of a pangolin can be as high as USD $700,000 and 10 years’ imprisonment. Enforcement is another matter, though. There have been few actual convictions to date. World Pangolin Day can only help get the message out. It may not be a solution in itself, but it’s a start — one small step on the long road to redemption. 1. The hard, overlapping scales of the pangolin are made of keratin, the same substance found in our nails and hair. The scales continue to grow throughout its life. 2. The pangolin does not have teeth. Instead it uses a thick, strong and sticky tongue to catch its food. When extended, the pangolin’s tongue is longer than its head and body. It is attached at its pelvis and last pair of ribs, and the rest of it is stored in its chest cavity. 3. Their stomach has keratinous spines projecting into its interior. Small ingested stones accumulated in the stomach help to mash and grind food, in much the same manner as a bird’s gizzard. 5. When threatened, pangolins curl up into a tight ball. They may also emit a noxious acid from glands near their rear end. 6. The life cycle of a pangolin in the wild is largely unknown, as they are hard to study. Some pangolins are recorded have lived as long as 20 years in captivity. 7. Adult pangolins live solitary lives, rather than in pairs or families. 8. Pangolins are nocturnal — they come out at night, for the most part. 9. Pangolins eat insects, such as ants and termites, but are fussy in their eating habits, and focus on just one or two species, even when others are readily available. They can eat up to 70 million insects a year, according to some estimates. They have uniquely designed muscles that seal their nostrils and ears shut, protecting them from insects. They also have special muscles in their mouths which prevent ants and termites from escaping after capture. 10. Mother pangolins keep their young in burrows until they are old enough to ride on their mother’s back. The mother curls up snugly around the baby pangolin at night, or if she senses danger. A passion for nature: The brave new world of conservation photography. More and more, nature and wildlife photographers prefer to label themselves as conservation photographers, in part to reflect the perilous state of the environment today, and in part because the word “conservation” suggests a bigger scale and broader reach. “Conservation” sounds more important, somehow, though old-school nature photographers will argue that nature itself is the reason conservation matters. Nature, after all, provides the foundation on which conservation is built. Voting has now closed for the People’s Choice Award in the 54th Annual Wildlife Photographer of the Year Awards, or WPOTY 54 in the photography community argot. Last year’s winners in all categories are on display at the Natural History Museum in London until May 28th; if past history holds, this year’s winners will be announced in October. In a somewhat controversial decision — controversial to the outside world, that is, as the jury vote was unanimous, a first in the 50-year history of the WPOTY awards — the grand prize went to Getty Images photojournalist Brent Stirton for his gripping, tragic image of a slaughtered rhino. Stirton’s background is hard news, not wildlife per se. After decades of covering conflict zones throughout his home continent of Africa — he cut his teeth photographing the anti-apartheid struggle in his native South Africa, before moving on to cover that country’s devastating HIV/AIDS crisis — he says he had an epiphany 10 years ago, in 2017, after photographing DRC (Democratic Republic of Congo) park rangers dragging a dead mountain gorilla out of the Virunga National Park rainforest, using makeshift ropes and heavy wooden beams. Stirton vowed then and there to become a lifelong crusader for the environment, using what he knows best to document the plight of endangered species, ecosystems and vanishing cultures throughout the developing world. The People’s Choice award, by definition, is a vote by the people, and all that that implies. It’s unlikely a picture of a dead rhino with its horn unceremoniously sawed off with a chainsaw would make the final cut for the People’s Choice Award, even if the finalists were chosen by a judging panel first and then submitted to the general public for a vote. Even so, it’s hard not to look at the finalists’ images — a handful of which appear below — and not view them through the prism of what’s happening right now in the world’s few remaining wild places. It’s tough to see an image of a mother polar bear huddling over her newborn cubs and not realize that, within 20 years, polar bears may vanish entirely, owing to the catastrophic — and accelerating — ice melt in the northern polar regions. Big cats often make for dramatic photographs, but again it’s hard to see a picture of a tiger today and not be reminded that it was the apex predators — the sabre-toothed cat, a remnant of the Pleistocene epoch for some 42 million years before dying out just 11,000 years ago, or the “super croc,” Sarcosuchus, an early ancestor of the crocodile, some 12 metres (39 feet) in length — that perished in the end, leaving their legacy to their smaller, more adaptable successors. The difference now, of course, is that much of what’s happening is caused by human hands, and humans alone have the power to make a difference. Conservation photography is part of that. This is not new. In 1864, Abraham Lincoln was famously so moved by Carleton Watkins’ stereographic illuminations of Yosemite, on the other side of the American continent, that he signed into law a bill declaring Yosemite Valley to be inviolable. Theodore Roosevelt enacted further protections in 1908, at the urging of his naturalist friend John Muir, founder of the Sierra Club. Yosemite played a key role in Woodrow Wilson establishing the U.S. National Park Service in 1916. Today, photographers who document the beauty and wonder of the natural world have an added responsibility — wanted or not — to shine a new, white-hot light on the crisis facing the planet today, whether it’s something as simple and life-affirming as a sloth hanging out in the rainforests of Brazil, or as complex and hard-to-take as the bloodied hand of a poacher handling an elephant tusk in Central Africa. Both have a story to tell. They are different, and yet tragically connected. It’s good that people know that. THIS JUST IN — Jo-Anne McArthur's "Pikin and Appolinaire" has been declared the People's Choice. Word broke late last night from the UK. A strong image from a strong field, and well-deserving of the recognition. The conservation message is profound, no? A lion’s tale: Reporting from the front lines of lion conservation. Here’s something you probably didn’t know. There are fewer wild lions remaining in the world than rhinos. Yes, it’s true. For all the recent campaigns highlighting the plight of the rhino — and rightly so — one of the most iconic species known to humankind is on the brink. That seems hard to believe, as the lion is the one animal somebody thinks of — and expects to see — when going to the zoo. Numbers don’t lie however. Hardly anyone familiar with the impact of overpopulation and stresses on the environment in the post-industrial age will be surprised to learn that Africa’s lion population has crashed 90% in just the past 75 years. It’s hard to quantify that figure in real terms, though. Lions, on the other hand, number some 20,000. Little more than a century ago, there were more than 200,000. Lions are extinct today in 26 African countries. These figures come from wildlife biologist and National Geographic Emerging Explorer Thandiwe (Thandi) Mweetwa, but have been confirmed by any number of peer-reviewed scientific surveys. We tend to think there are more lions than there really are because they’re social animals. They live in large family groups, so when you see one lion in the wild, chances are you will see several of them together, whether it’s a male coalition, a lone lioness with newborn cubs, or a full-on pride. That gives the illusion that they’re plentiful, when in fact the evidence shows they’re anything but. Mweetwa, Zambian-born and educated at the University of British Columbia in Vancouver (veterinary medicine) and University of Arizona in Tucson (resources conservation), is a senior wildlife biologist with the Zambian Carnivore Project. When one thinks of African game parks, one naturally thinks of the Serengeti and Maasai Mara in East Africa, Kruger National Park in South Africa or even Etosha in Namibia, but Zambia is home to several of the less trammelled and most pristine wilderness areas on the entire continent. Mweetwa is based in the Luangwa River Valley — South Luangwa National Park rests on one of the main tributaries to the Zambezi River, which feeds into Victoria Falls. Luangwa’s ecosystem is every bit as detailed and complex as anything in Serengeti, but the fact that there so few tourist visitors, relative to its more famous cousins in Kenya and Tanzania, makes Luangwa an ideal test lab for biological field studies. Mweetwa was one of a handful of scientists, nature photographers and program producers who appeared at the semi-annual gathering of the TV Critics Association in Beverly Hills, Calif.this past summer — I’m an active member, owing to my regular columns for the New Jersey-based site TVWorthWatching.com — to promote NatGeo Wild’s eighth annual Big Cat Week, designed to raise awareness of, and promote interest in, National Geographic’s self-explanatory Big Cat Initiative. Among its other programs, the Big Cat Initiative helps raise funds for big cat conservation; Mweetwa’s work is supported in part by a grant from National Geographic. Mweetwa was just 12 when she moved from a small town in southern Zambia to the rural north. Her parents had died within two years of each other; her uncle agreed to take her in, in her mother’s home village of Mfuwe in Zambia’s far north. She had seen wildlife documentaries on the tiny, 12-inch family TV set as a young child growing up in the south, but now she found herself living in a modest red-brick house with no running water or electricity, let alone a TV. She was exposed on a daily basis to the wildlife she had only seen in pictures, though, and it wasn’t long before she developed an interest in the ubiqitous baboons, vervet monkeys, bushbuck, buffalo and puku antelope that frequented the mango groves surrounding the village. That led to a growing curiosity about the shadowy predators one often hears about but rarely sees — the leopard, a creature of the night; African wild dogs, tireless hunters during the day; and, at the top of the food chain, the lion. “It was the documentaries,” Mweetwa explained, when asked what first piqued her interest in lions. The irony that her field work is now supported by National Geographic’s network of international TV channels is not lost on her. Today, Mweetwa is a senior ecologist and community educator with the Zambian Carnivore Programme. Her work revolves around poplation dynamics and threwats to the survival of lions and other carnivores in eastern Zambia. She believes the key to any species’ survival is getting local communities involved and convincing area residents to support wildlife conservation and environmental awareness programs. Mweetwa’s work gained new attention this past week, thanks to her National Geographic video in which she shows that female lions in a pride often have cubs at the same time, to facilitate group parenting, in which a group of new mothers raise each other’s offspring alongisde their own cubs. The situation facing lions is serious, Mweetwa says. Climate change is, marked by longer and more frequent dorughts, has led to significant human-wildlife conflict in Kenya and Tanzania especially, as livestock herders push their goats and cattle inside park boundaries, in an effort to find water and food, while hungry lions leave park boundaries and cause mayhem. In Zambia, where Mweetwa works, and throughout southern Africa, lions are being hunted for the bushmeat trade, and for ritual charms and would-be cures used in traditional medicine. Mweetwa is mindful that relatively few travellers from the West will ever visit Africa’s wilderness areas, let alone see a lion in the wild. That’s where National Geographic’s films and magazine come in. Fantastic beasts and where to find them, and all that. Winter is coming for the polar bear — and not in a good way. “Polar bear videos reveal impact of melting Arctic sea ice,” CBS News reported. “Polar Bears Are Fighting For Survival as Melting Arctic Ice Cuts Off Their Only Food Source,” Newsweek’s heading warned. “Polar Bears Really Are Starving Because of Global Warming, Study Shows,” was National Geographic’s take. BBC News took a simpler route: “Polar bears ‘running out of food,’ study says." Arctic sea ice is melting faster than expected. Faster even than the most dire predictions. Temperatures are wamwarminging more quickly in the Arctic than anywhere else on the planet, for whatever reason. 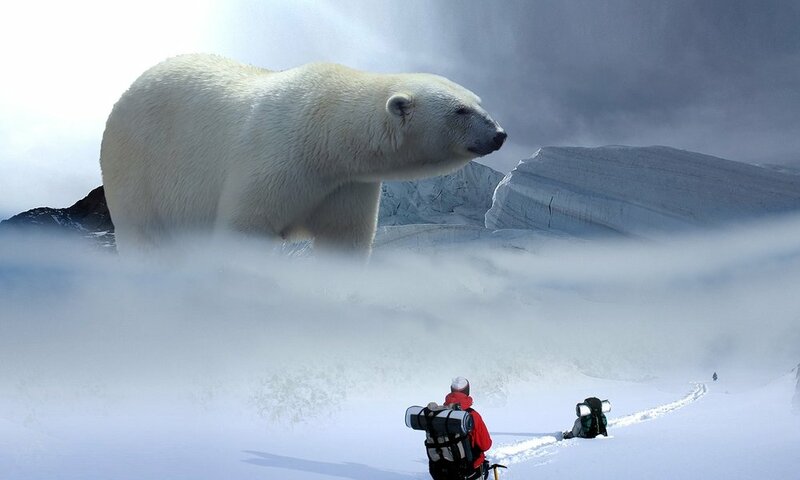 Polar bears need seals for food, in order to survive. The less sea ice there is, the harder it is for the bears to get at the seals. The harder it is for bears to find seals, the more energy they expend looking for those seals. This is not rocket science. The more energy they expend, the more food they need to survive. The less food bears find, the less energy they have to hunt. Over time, the process speeds up rather than slows down. If bears are in trouble today — and they are — then by tomorrow they be gone entirely. This isn’t hyperbole or alarmist claptrap designed to gin up donations to conservation organizations — it’s basic fact. Charles Darwin’s landmark studies in species survival are often mistranslated as “Survival of the Fittest,” when in fact Darwin’s theory of evolution focused in the main on natural selection — a species' ability to adapt to a changing environment, rather than which individual species is best positioned to win a physical fight. Polar bears could adapt to a life without sea ice and seals, given time. But they don’t have that time. And eating out of garbage dumps in Churchill, Manitoba one month of the year isn’t going to cut it. Polar bears are terrific swimmers — adaptability at work — but they’re not sea mammals. They’re not whales. In open water — i.e. the open ocean — they will drown. They stay close to land in most cases, and need ice floes to climb onto and rest. If there are no ice floes — and in recent summers, Arctic sea ice has disappeared entirely and the Northwest Passage has opened up to regular sea traffic — they will drown as quickly as any grizzly or black bear that suddenly finds itself out at sea, with nowhere to swim to. The study tracked nine female polar bears fitted with high-tech tracking collars and GPS cameras, as they foraged for food in the Beaufort Sea, off the coast of Alaska. The study was sponsored by the United States Geological Survey and conducted by researchers from the University of California Santa Cruz (UC-Santa Cruz) over the course of three consecutive springs, in 2014, 2015 and 2016 (https://news.ucsc.edu/2018/02/polar-bears.html). The original video — warning: it’s not easy to watch — can be found by following the links from National Geographic’s main website (https://news.nationalgeographic.com/2018/02/polar-bears-starve-melting-sea-ice-global-warming-study-beaufort-sea-environment/) reignited the debate about what’s happening to the world’s polar bears. If we can’t save an iconic species like the polar bear, what can we save? Food for thought, if not exactly food for the bears. A note on the video links below: The first is a generic news item from earlier in the week from CNN International, about the USGS UC-Santa Cruz survey. The second is an 18-minute TED Talk Paul Nicklen gave in 2011. Yes, that’s years ago now but, if anything, it’s even more relevant today than then. It has everything you might expect from a TED Talk: a compelling story, a charismatic storyteller, and a real emotional punch at the end. Well worth seeing, and seeing all the way through. Not yeti — at least, not yet. Moneymaker, the Finding Bigfoot guy, had seen something I had written at the time for the local paper in Vancouver — the wilderness surrounding Vancouver in southwestern BC is Bigfoot country, or said to be, at any rate — and this was his way of saying he hadn’t appreciated my tone in the article. That tone was not so much skeptical as, well . . . satirical. I saw his lifelong ambition — well, nine seasons and counting of Finding Bigfoot — as parody, and had decided that while Finding Bigfoot was rousingly good TV, it was not exactly good science. It turned out that scientists studying nine DNA samples of hair and teeth, ostensibly from yetis, found the samples belonged to bears. One sample, though, proved to be different — the exception that proves the rule? — and not just because it had been taken from a stuffed yeti, as opposed to a yeti that had been hit by a car on the Alaska Highway or shot by a fat dentist from Minnesota. The sample in question turned out to be a genetic mélange consisting of the hair of a bear and the teeth of a dog. Bear bites dog, or dog bites bear: take your pick. Darn scientists. Ruining everything with their, ahem, facts. “It demonstrates that modern science can . . . try and tackle some of these mysteries and unsolved questions we have,” spoilsport-in-chief Dr. Charlotte Lindqvist told The Guardian, Lindqvist, a trained biologist, specializes in bear genomics and was co-author of the study at State University of New York at Buffalo, a public research university formerly known as the University of Buffalo. SUNY Buffalo counts NASA astronauts Ellen Baker and Gregory Jarvis and CNN anchor Wolf Blitzer among its alumni, and is the largest public university in the state of New York. The school’s motto is Mens sana in corpore sano — “Sound Mind in a Sound Body” — and academic standards are high. We’re not talking about Trump University here, so any research findings have to be taken seriously. Dr. Lindqvist herself studied at the University of Denmark in Copenhagen and conducted her postdoctoral research at University of Oslo, Norway, specializing in “speciation processes, polyploidy and hybridization in animals and plants, particularly marine mammals.” Her current projects include the study of polar bear evolution — critically important now, considering the effects of climate change on Arctic polar bear populations — and microbiata in marine mammals. It seems the yeti of myth and mountain lore owes more to the Tibetan and Himalayan brown bear, genetically speaking, than the Abominable Snowman first hinted at in mountaineer B.H. Hodgson’s account of journeying through northern Nepal in 1832, as published at the time in the Journal of the Asiatic Society of Bengal. Closer to home, there have always been suspicions that Bigfoot is a distant cousin of the yeti, in the same way the North American grizzly is a distant cousin of the Himalayan brown bear. The skeptics may be a dime-a-dozen, but Moneymaker is having none of it. Skepticism, that is. Moneymaker is a real name, by the way. Or so he says. Meanwhile, back in the world of science, Lindqvist’s findings may have temporarily dashed cold water on a tantalizing “what if” tale, but they’ve provided plenty of fodder in social media chat rooms. Hikers in Tibet and the Himalayas need not fear the monstrous yeti, goes one salient piece of advice, but they’d l better carry bear spray if they do. “Shouldn’t they at least have found a dead one?” another doubter wanted to know. “We asked the hosts of Finding Bigfoot why it’s taking them so damn long,” the science-technology website Gizmodo said of Moneymaker and Bigfoot “evidence analyst” Cliff Barackman, back in 2016, when Bigfoot was in its eighth season. That answer should be self-evident, one doubter groused on the site’s message board. How is this show still alive, another demanded to know. If Bigfoot — or the yeti for that matter — doesn’t exist in real life, surely the show can last forever. The truth about cats: Left paw = right-brain male / Right paw = left-brain female. The late-night comedian and Daily Show host Jon Stewart used to a bit called, “According to a new study…” as a way to draw attention to TV newscasts that over-rely on studies to provide news content and fill air time. has been tossed upside down in the past week by a new study that claims cats are right-pawed or left-pawed, depending on which front paw they use first to reach out or swat something with. According to this study, published in the January issue of the journal Animal Behaviour (Est. 1953), right-handedness and left-handedness in cats is determined by gender: Male cats tend to favour their left paw; females tend to favour their right. One can be forgiven for taking the study with a grain of salt, or catnip if you prefer, because we’re living in the era of Fake News, aka #fakenews — and because, as Stewart reminded us on an almost nightly basis on his Daily Show, the media like nothing more than a new study that tells us something we didn’t know, and has broad audience appeal besides. This particular study, as reported by National Public Radio (NPR) in the United States, and many, many other media outlets, including Smithsonian magazine, The Guardian and LiveScience.com, to name just a few, was conducted by a trio of psychology-department researchers at the Animal Behaviour Centre at Queen’s University in Belfast, Northern Ireland. The study involved 44 cats in all — 24 male, 20 female, all neutered or spayed, of mixed breeds, between the ages of one and 17 years. Cat owners were asked to monitor their cats’ daily routine, focusing on spontaneous behaviour such as what paw they used to reach for food, step into their litter tray, or climb up and down a flight of stairs. Cat owners were also asked to monitor whether their cat preferred to rest or sleep on which side. Survey participants — the humans, not the cats — were asked to monitor their cat’s behaviour every day until 50 responses were reached for each question. The study is not entirely new. Behavioural psychologists at the same university conducted a similar study in 2010, as reported at the time in Pets Magazine and other places. That study found that, as with human left- or right-handedness, cats do tend to favour one paw over the other. The results then were similar to the results now. The 2010 researchers found that most cats will use either paw for simple things. When faced with a more complex task that requires dexterity, female cats will favour their right paw while male cats will favour their left. Fake news? Or yet another case of cats being, well, cats? It could well take a cat psychologist to suss out the difference. Twenty of the 21 tom cats studied used their left, while one of the males was judged to be ambidextrous. In simpler games, such as grabbing a toy mouse and dragging it along on a string, cats showed equal preference for either paw. The researchers likened the pattern to the way we humans use either hand for a simple task, such as opening a door, but favour one hand over the other for writing. “The more complex and challenging (the task), the more likely we’re going to see true handedness,” study leader Dr Deborah Wells told New Scientist magazine at the time. Though the idea of testing right-handedness against left in house-cats sounds like the classic definition — where there is any definition at all — of fake news, there is a scientific question that goes beyond finicky couch moggies. Studies of chimpanzees in the wild have shown that individual chimpanzees show a distinct preference for one hand over the other when using tools. Hand-preference in primates is complicated, and not always easy to judge. There are still a lot of unanswered questions. Among humans, for example, left-handedness is more common among men than women, but no one can explain why. Aside from the curiosity factor, why does any of this matter? Left-limbed animals, Wells told NPR, rely more heavily on the right hemisphere of their brains, and tend to display more aggression and a more pronounced reaction to fear than right-limbed animals, which tend to use the left hemisphere of their brains more. I can personally attest to one of the results of the study: My own couch moggy, a female, favours her right paw over her left — and I have the scars to prove it. Blue Planet II: Family programming in a way you didn’t expect. Finally. The curtain rises Saturday on Planet Earth: Blue Planet II, on BBC America and four of its AMC Networks sibling channels. By now, followers of Sir David Attenborough’s stirring forays into the natural world know what to expect: haunting images, memorable moments and a gentle, almost childlike appreciation of nature’s wonders. Blue Planet II has already aired in the UK — to record-setting ratings and widespread critical acclaim, as old and cliché-ridden as that may sound — and the wait here is finally over. That wait has been excruciating at times, not least for AMC and BBC America programming executives who could be forgiven for wondering if one of the year’s most talked-about global TV spectacles had somehow passed them by. It’s never a good idea to be last out of the gate when the stakes are so high. And the stakes in Blue Planet II could not be higher. For this one is different. Yes, all of Planet Earth’s signature marks are there. It’s joyous and harrowing in equal measure. It’s heart-lifting and heartbreaking by turns. It’s eye-filling in a way TV rarely is, and yet there it is: There is enough visual spectacle in Blue Planet II to put anything on the big screen to shame. Hans Zimmer’s music — while criticized by some for being loud and overbearing at times — tells its own story of power and majesty. There are moments that will make you laugh; there are moments that will fill you with wonder. 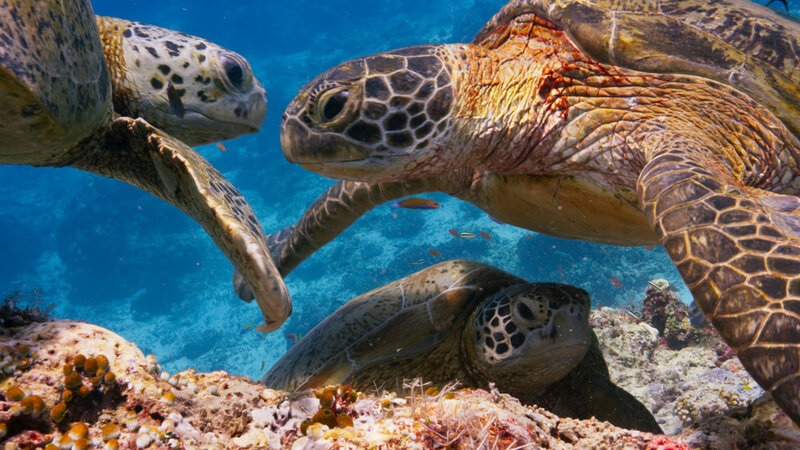 The world’s oceans play a vital role in the health and future of our planet Earth, and Blue Planet II pulls back the veil on some timeless mysteries that speak to the very heart of what it means to be alive and living on this world, in the same way Planet Earth and Planet Earth II lifted the spirits of even the most jaded city dweller. Blue Planet II is unique, though, because it has already inspired change in the real world, outside TV. It’s not often a TV program can be said to change the planet, but there are signs Blue Planet II has already done just that. It seems strange to say this now, before a single minute has been broadcast in North America, but Blue Planet II has started a social movement. The UK — ahead of the US environmentally in some ways, but profoundly behind in others — is considering new, onerous restrictions on the use of plastic, in everything from bottled water to supermarket grocery bags. Plastic bags are now banned in a growing number of countries around the world, including Kenya and Rwanda. Tourists’ bags are being opened at airports there, not for drugs or contraband but for plastic bags. Plastic is the new enemy, for environmentalists, marine conservationists and anyone who cares about the future of the planet’s oceans. Plastic is forever. It doesn’t decompose over time, at least not in any time we care to measure. Plastic waste is dumped at sea by the ton — out of sight, out of mind — where it sinks to the bottom, breaks up, fragments and makes its way into the entire food chain. Plastic residue is everywhere, from the ocean surface, where it floats in a congealed mass, to the bottom of the deepest ocean trench. There are now even traces of plastic in tap-water — the water you drink — and there’s evidence to suggest particles may be in the very air we breathe. David Attenborough often said he didn’t want to be seen as preaching or hectoring viewers about our lifestyle habits, but as the environment has changed around him — he is now 91 — he has changed his mind. Blue Planet II ends with a plea to consider our footprint on the environment and think about our children’s future and that of their children, and the future of the planet itself. The health of the world’s oceans is indelibly tied to the future of the planet itself. Words by themselves can often appear empty of meaning. If there’s a single image, a single sequence in Blue Planet II that had a profound effect on everyone watching, it was a scene toward the end of a series, of a colony of albatrosses feeding their newborn baby chicks bits and pieces of plastic, mistaking it for actual food. We can be lectured at length, loudly and often, but it rarely sinks in. A single image — in a TV show watched by millions — can have a much more powerful, galvanizing effect. Don’t discount the impact Blue Planet II had on ordinary, everyday viewers in the UK, where the program was reportedly seen by more viewers than any TV broadcast of the past five years, save two (the 2014 World Cup soccer final, and a season finale of the UK equivalent of Dancing with the Stars). These weren’t die-hard environmentalists or Whole Foods groupies, either, but everyday people who work hard, pay taxes and raise families — in short, the TV audience. The BBC has commissioned a pair of new documentary series based on Blue Planet’s success, Drowning in Plastic and The Truth About What You Wear. As you read this, the UK parliament is debating new legislation designed to sharply curtail the use of plastic. China has said it will no longer take in the rest of the world’s plastic waste, at any price. Not all of this is because of Blue Planet II, of course, but there’s no question it has had a profound effect, even before it’s aired in the US. It’s family programming in the truest sense of the word — not just programming the entire family can watch together but programming that, at its heart, is about your family’s future. It’s TV that matters. Blue Planet II premieres tonight at 9ET/8C on BBC America, AMC, IFC, WE tv and SundanceTV, and in Canada on BBC Earth. The seven-part series will air Saturdays through February and March. Blue Planet II is narrated by Sir David Attenborough, scored by Hans Zimmer and was produced by James Honeyborne. It has already aired in the UK and other parts of the world. It was the top-rated series of 2017 in the UK and the most-watched natural history program in more than 15 years. Dolphin feeding study sheds new light on ocean conservation. Olympic swimmers burn 12,000 calories a day during training. Dolphins burn nearly three times as many: 33,000, according to a new research study of common bottlenose dolphins in Sarasota Bay, Florida. That’s equivalent to 60 portions of salmon a day, or 10 to 25kg (22 to 55 lbs) of fish, just to survive. Why does it matter? With climate change, discarded plastic and industrial pollution affecting the world’s oceans at an alarming — and growing — rate, researchers say it’s important to study the metabolic rates of whales and dolphins if we’re to learn exactly what’s going on in our oceans, and why. The blue planet depends on knowledge — actual scientific knowledge, not opinion or guesswork — if it is to survive. This wasn’t some fly-by-night survey, either, but a proper scientific, peer-reviewed study sanctioned by the Woods Hole Oceanographic Institution, Oceanographic Foundation in Spain and published in the journal Royal Society Open Science. Calculating the nutritional health of an active sea mammal like a bottlenose dolphins is a complex mathematical equation that involves sea temperature, lung function and the number of calories a dolphin burns while diving, swimming, resting and sleeping during a 24-hour period. 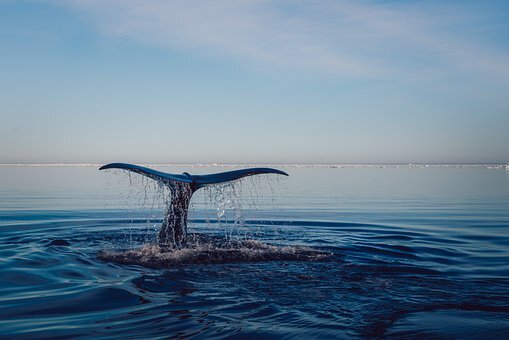 Determining the exact diet and energy requirements of whales and dolphins is critical to conservation efforts, researchers such as Andreas Fahlman argue, in part because the future of the world’s oceans will depend on effective fisheries management. The study’s results have already had an impact. Knowledge is power — the power to actually do something if, as a society, we have the will to do it. “We can use this as a health check of various populations, and therefor the environment,” Fahlman said, as reported Wednesday by BBC News. First Nations coastal people and scientists who work the West Coast of Canada have been saying this for years about B.C.’s resident population of killer whales. Autopsies of marine mammals have showed increasing levels of toxins in their blood, leading scientists to conclude that coastal pollution is having a long-term and in many cases deadly effect on marine life, even — perhaps especially — apex predators at the top of the food chain. Food for thought, as the critically acclaimed Blue Planet II prepares to make its Canadian and US TV debut this weekend. Celebrity nature shows can no longer save the planet on their own. A day late and a dollar short — much like recent US action on the Paris Climate Accord— Blue Planet II makes its North American debut Saturday next. That might seem like old news, and it is. We’re living in a global village, after all. It’s a measure, though, of how far-reaching and long-lasting Blue Planet II was for its originating broadcaster that, this past week, BBC announced that it’s commissioned a pair of new documentaries about the challenges facing the environment, along with a new Planet Earth-style nature series, Dynasty, which will follow several groups of animals — lions, African hunting dogs, chimpanzees, tigers and penguins — over a two-year period. It matters because, in spite of strong reviews and stellar ratings in the UK — more than 14 million viewers tuned in to see the debut episode of Blue Planet II in the UK, making it the third most-watched program on UK TV in five years — the program’s overarching message of environmental degradation drew criticism in some quarters for preaching. Some of the more unforgettable images in entire series, especially in the later episodes, were hard to watch, including heartbreaking footage of albatrosses unwittingly feeding their chicks plastic. Blue Planet II: aesthetically inspiring, but sobering, too. And thought-provoking — whether we want to be provoked or not. One of BBC’s newly commissioned documentaries, the self-explanatory Drowning in Plastic, will show in stark, simple terms exactly what our disposable culture is doing to the world’s oceans. A second documentary, The Truth About What You Wear, will explain exactly that. David Attenborough once said that no one wants to be lectured at home about how the world is going to hell in a hand basket and how it’s their fault, but that was in simpler, less dangerous times. BBC executive Tom McDonald, head of the Beeb’s Natural History Unit — effectively, Sir David’s employer — has told anyone who’ll who’ll listen that, the BBC’s critics aside, it’s not as if BBC1 hasn’t tackled these issue before. It’s just that, thanks to the heady reception accorded Blue Planet II, more people are listening. The reasons why what’s happening is happening could be very contentious, however. No one in a position of authority at the publicly-funded BBC is going to say anything too controversial, but more and more of those same viewers and listeners who help pay the BBC’s bills are having their say, and it’s not always what other people want to hear. “The real solution to saving our planet is population control,” one reader posted on The Guardian’s message board. More mouths to feed, more land razed for livestock, more fossil fuels to drive ever-growing industry, more desire and need to boost quarterly profits. Famine, flooding, landslides, forest fires and tectonic upheaval — everything from earthquakes generated by fracking and unchecked nuclear testing — are subjecting the Earth to a slow, lingering death. Another fact: Sadly, we can no longer save the world just by watching celebrity nature shows. Activism involves more than simply staring in wonder at an endangered animal on TV. Increasingly, people — some people, anyway — are realizing that humanity must find a quicker, cleaner way to convert from fossil fuels to renewable energy, and do away with conspicuous consumption altogether. It’s a Manhattan Project for the 21st century. Losing it on ‘The River of Doubt:’ Teddy Roosevelt’s not-so-excellent adventure. In 1914, just five years after serving his second term as the 26th President of the United States, avid outdoorsman and lifelong adventurer Theodore Roosevelt Jr. and the legendary Brazilian explorer Candido Rondon undertook an epic expedition into the heart of the Amazon jungle, ostensibly to chart an unknown river and, one supposes, find El Dorado, the mythical Lost City of Gold. It ended badly. Three expeditioneers died in the jungle and the president himself was lucky to escape with his life. Tuesday this week, as part of PBS’s ‘American Experience’ showcase, filmmaker John Maggio’s absorbing, often eye-opening documentary Into the Amazon follows Roosevelt’s great-nephew, Tweed Roosevelt, and ex-New York Times Rio de Janeiro bureau-chief Larry Rohter as they retrace the elder Roosevelt’s muddy bootprints into one of the darkest, most impenetrable jungles remaining on the planet. It’s 2017 — or at least it was, when Into the Amazon was filmed — so how hard could it be? We’re living in the age of GPS, Lady Gaga and cellphone service, after all. Venturing into the Amazon, as fearsome as it sounds, should be no more difficult than a walk in the park, right? As long as the battery on your iPhone lasts, how hard can it be? Pretty damn hard, as it turns out, filmmaker Maggio told a room full of reporters at this past summer’s semi-annual gathering of the Television Critics Association in Beverly Hills, Calif. — a somewhat more sedate and civilized venue than the headwaters of the Mantaro and Apumirac Rivers. There are rainforests, and then there are jungles, and then there is the Amazon. It’s a place where it’s easy enough to lose faith in one’s leader, Maggio said, sitting alongside Rohter and 21st-century jungle survivor Tweed Roosevelt. “To your earlier question about losing faith in your leader,” Maggio said, “we had one of the locals, his name was Abhijius. He spoke an Indian dialect that I, that nobody understood. But he had previously taken — or tried to take — David Beckham on a motorcycle tour all the way across the Amazon. Beckham was on a bit of a vision quest. In the end, Beckham — ‘I would go anywhere in the world with Abhijius,’ Beckham is said to have said — that he gave him these designer boots that he'd worn the whole time. The younger Roosevelt is wise enough to know that he never was cut out for jungle travel, but the idea of following in the footsteps of his great uncle intrigued him. After all, how hard could it be? “To begin with, when somebody called me up and said, ‘Do you want to go on this expedition?’, I listened. I always kind of thought about it in an abstract way, something I might want to do, but I'd never done anything about it and I'm not the explorer type. It's not the sort of thing I do normally. “When I was on the phone, I thought, ‘Gee, this sounds neat.’ But it also sounded like it wasn’t actually going to happen. So I could get credit for saying I was going to go do this, and then not actually have to do it. “There were several things,” Roosevelt said. “First of all, how much the same it was. And second, how much my impression of how hard it was hard for us, but how much harder it must have been for them. Much, much harder. And my respect for their abilities and what they achieved on this, just to survive, went way up. It was still gruelling, but it was much easier for us. “We had, for example, freeze-dried food. They had real food. It weighed a lot. And what they call canoes were these dugouts that were 2,500 pounds. You had to use block-and-tackle to drag them around the rapids. All in all, he suggested, it’s more relaxing to read Joseph Conrad than to actually live the experience. At least, in the 21st century, one can count on cell service, though. Rohter, as a career foreign correspondent, is used to being uncomfortable conditions in far-flung, tropical locations. He’s learned how to get out of a jam. A hundred miles, in the Amazon, is nothing, though. “There are vast areas of the Amazon where you can’t get a signal,” Roosevelt said. “That hundred miles is nothing. I mean, you’re right, I’m not arguing with you. But there are places on Martha’s Vineyard, where I live, where I can’t get a signal. Size isn’t all that matters, either. Does El Dorado actually exist? “Cities, no,” Rohter said. “Tribes, yes. We know from helicopters, flying over the Basin, and from FUNAI, the Brazilian government’s National Indian Foundation, that there are still uncontacted tribes in the western Amazon. One thing soon came clear to everyone involved in the expedition, though, and everyone associated with making Into the Amazon: Theodore Roosevelt Jr. was a mensch. A man’s man. Admirers of the present occupant of the White House often draw comparisons to the older Roosevelt, who was also a Republican. Teddy Roosevelt survived his Amazon adventure — barely — but he didn’t live happily ever after. Within five years, he died in his sleep, on Jan. 6, 1919, from a blood clot that lodged in his lungs. He was just 60, a whippersnapper by modern-day terms. But he had done something few outsiders had accomplished: He had made it to the heart of the Amazon, and came back alive to tell about it. 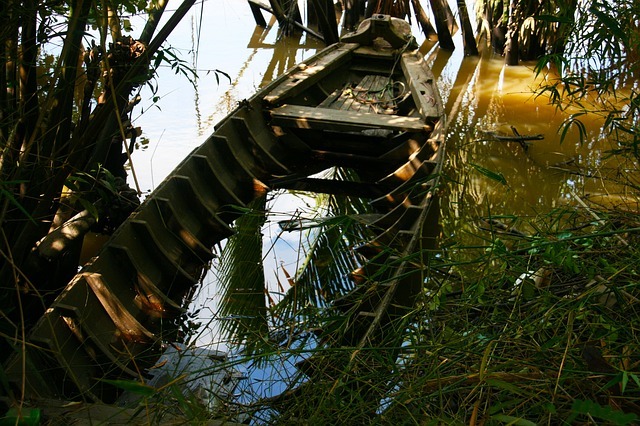 The Amazon Basin may still be raw in places, but that doesn’t mean the ecosystem isn’t endangered. “It is as raw as you can imagine,” filmmaker Maggio affirmed. “I don't want to toot my own horn, but it was an absolutely intrepid experience to try to even just navigate the rivers there. People live on the river. They live in boats. They're masters of that world. And for me at least, to try to get this 20-person crew in and out, it was an absolute adventure. It was one I'm so glad I did. And I would never do it again. Into the Amazon premieres Tuesday on PBS at 9ET/8C. The year in pictures — not all opinions are equal. The end of one year and the beginning of the next is a time when we’re inundated with best-of lists and conversation starters about things to come. There’s almost too much to choose from, which is why we need curators — for everything from social media to the day’s news. Judgment, and taste, is everything. Not all opinions are equal, no matter how loudly and how often we’re told they are. I disagreed strongly with the judges’ final choices in some high-profile photography awards this past year, but who am I to judge? I just know what I know. The Natural History Museum’s Wildlife Photographer of the Year Awards got it right, in my opinion; other competitions, which I won’t name here, got it quite wrong. That’s why National Geographic editors’ 57 favourite images of the year — all published in the magazine at some point during 2017, and hardly an award winner among them — struck a nerve with me, chosen as they were from 88 photographers who worked on some 112 stories, accumulating a total of more than 2 million photographs. I learned more, too, that I didn’t know before from Nature’s “2017 in Pictures: The best science images of the year,” than I did from many other, more prominent periodicals. On one level, that’s to be expected, of course, because Nature, “the International Journal of Science,” is a peer-reviewed periodical. So a hitchhiking octopus, nanoscale fireworks and the “worm from hell” (the pork tapeworm, but you know it better as Taenia solium) become every bit as fascinating as anything on Animal Planet or NatGeo Wild. Anyone who reads this space regularly knows I’m more of a Guardian man than a Daily Mail man, and I don’t care who knows it. 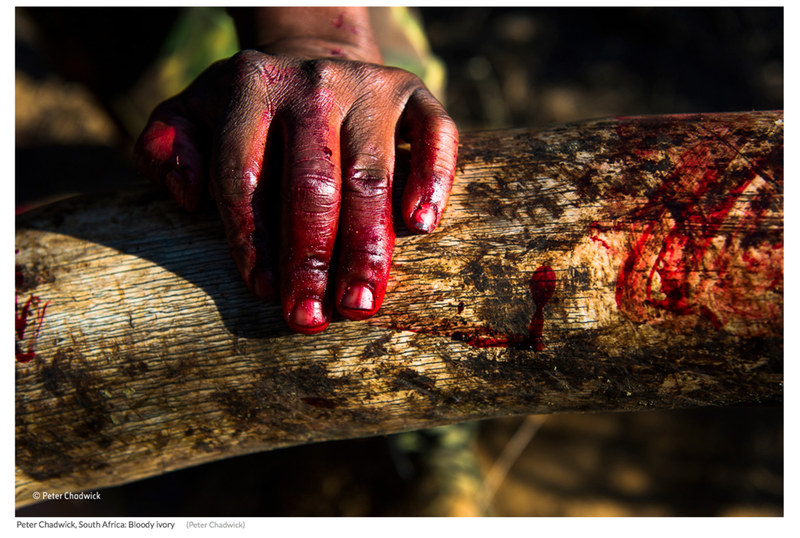 It’s worth noting that veteran photojournalist Brent Stirton’s controversial image of a rhino butchered for its horn — “Memorial to a Species” — won both the Wildlife Photographer of the Year award and the World Press Photos award in the nature category. It’s not often that nature photography and photojournalism coincide. I wouldn’t be doing my due diligence if I didn’t note that, judging from comments on the WPOTY’s Facebook page, many animal lovers were annoyed — livid, in fact — that Stirton’s image won best-in-show. Others pointed out — and I happen to agree — that nature photography isn’t just about big eyes and happy faces. There were better images in the final mix, both from a technical and a creative point-of-view, but few were as important. Enough about me and my own personal opinions, though. Here’s an edited — curated, if you will — look at The Guardian’s year-end summary of award-winning images from around the world. Interestingly — for me, anyway — if there’s one subject that unites many of these images, it’s our growing interest in the sea and the future of our oceans. That isn’t just because of Blue Planet II. The legacy of the sea is a cause that runs deep. 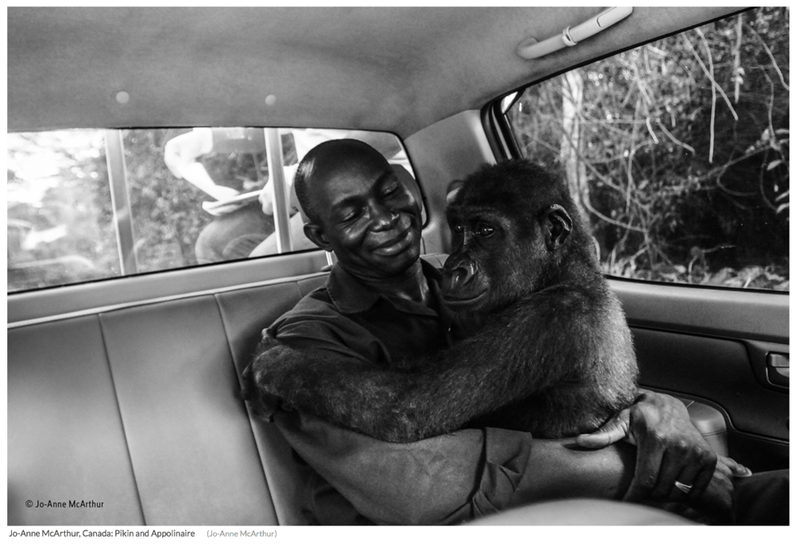 ‘A great photo tells a story’ — veteran National Geographic photojournalist Steve Winter. There are as many photographs as there are photographers with cameras and subjects to photograph, but one thing links them all, Steve Winter believes. “My father used to say there are three things you need to have in a great photograph: composition, composition, composition,” Winter said, during a wide-ranging, sit-down conversation in Los Angeles this past summer. Winter wants to give viewers pause, with his own photos. For the past 26 years he has specialized in conservation photography, specifically big cats, a vocation that has seen him journey around the world, to grasslands, savannahs, rainforests, mountain peaks and arid deserts. Winter is fastidious about not using bait, or any other form of human interference that could affect the natural behaviour of the animal he’s trying to photograph. Working for National Geographic affords him that luxury, he says: He lives, breathes and sleeps in the field for months at a time, in pursuit of that elusive, all-important single image that tells a story that hasn’t been told before. 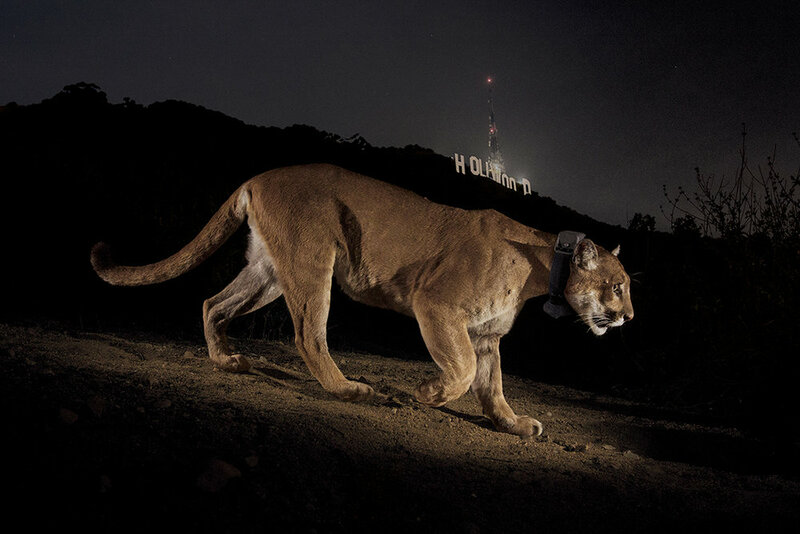 Arguably his most famous photograph, of a wild mountain lion living in Griffith Park the Hollywood Hills, in the heart of the Los Angeles metropolitan area, was taken with a camera trap. The cat, dubbed P-22 and fitted with a remote-control tracking collar by local field biologists, arguably became the most famous city-dwelling big cat on the planet, if only for a moment, owing to that one image. Without camera traps, many of the world’s most elusive animals would never be captured in the wild, exhibiting natural behaviour. The world might not even know they exist. It’s good that people know such animals do exist, as habitat destruction is the single greatest threat facing them. The camera trap has done more to aid wildlife conservation efforts than perhaps any recent breakthrough in scientific technology. “The Hollywood Cougar,” as Winter’s 2013 photo has come to be known, “looks fake,” he said, “but it’s not. Winter’s recent work with jaguars involved old-fashioned sweating in the jungle and staking out jungle trails, finding and photographing big cats the old-fashioned way, but it was camera traps that shaped his earliest National Geographic assignments. He came to jaguars for Jaguars vs. Croc honestly. “I had a great interest in jaguars because my first ever animal encounter with a big cat was with a black jaguar, one night in Guatemala. It came up to my door at night because cats are curious. Scratched under the door, sniffed. Luckily the door was locked. “If anybody would have told me then my next story would be jaguars I would have told them they were crazy, because I didn’t know anything about them. Adjusting back to civilization after a long time in the wild can pose its own challenges. Winter, just hours off a flight from Peru, was sitting in the lobby bar of the Beverly Hilton hotel in Beverly Hills, Calif., home to Hollywood royalty and a history that dates back to the silent movies, just a half-hour’s drive inland from Santa Monica and the Pacific Ocean. “When I first started, I had a very difficult time coming home. Because you could go from the Pantanal, which was my second wildlife story since I was a photojournalist, and then be driving over the Pulaski Skyway through Newark and seeing Manhattan in the distance and going home, after being gone for two months. It was psychologically difficult. How I got through it is I call home twice a day and talk to my wife. In the beginning, it was satellite phones, because I had no choice. “That’s 100% true. If I wasn’t connected, number one, I couldn’t do my job. Some people say, ‘Oh I don’t call home, because psychologically that’d screw me up.’ No. Because I have a psychological life outside of where I am doing these stories. That life is valuable to me. My family is valuable to me. I have a connection that I found was necessary. When in public, Winter is often asked if he’s ever been in perilous situations photographing some of the world’s most dangerous predators, in their backyard. It’s not a foolish question exactly, Winter says, but there’s a simple answer. “Close calls, I’ve had quite a few. The one thing you have to realize is that we’re not a part of any of these predators’ image search, haven’t been for millennia. The reason people fear sharks or big cats is because of a few individual circumstances, whether it’s Jaws, The Man-eaters of Tsavo, Jim Corbett’s tales of man-eating tigers and leopards — these individual tales have created this collective fear in us. “But these animals have no desire to hunt us. Every situation that I’ve been in where I’ve been scared me to death, where I can’t breathe, has been through accidental circumstances. On my first jaguar story, I was following a cat who decided he was going to follow me, and I accidentally came within 12 feet from him. That’s how I got my opening picture. I couldn’t breathe, I was shaking so bad, I figured it’d be blurry. It wasn’t. Winter is now active on the lecture circuit. Far from being a letdown after the excitement of being in the field, Winter says it has opened a whole new road in his life’s path. Holding an auditorium’s attention is a challenge in its own right. “I start with a video, and then it’s a constant barrage. Well, not a barrage, exactly but I do try to show a lot of work in a short period of time. I make every effort to make it personal. I always used to say that if I wasn’t onstage, I’d be in the crowd. And as long as I think that way, then I can hold the crowd. Because that makes it personal. “The most important aspect to me are the school lectures. Because I can hold people. I’m very proud of my NG Live [National Geographic Live] tour and selling out the Sydney Opera House for the first time in NG Live history, and all that. But to keep kids’ attention and then have teachers come up aghast, where they saying,‘You could’ve heard a pin drop. How did you do that? I know these kids. I’m their teacher; I can’t keep them quiet’ — that means everything to me. Sometimes you’ll have 2,500 kids, and that is a challenge. The images that force you to look away are often the most effective: National Geographic photographer Steve Winter. It’s the images you don’t want to see — the ones that make you want to turn the page — that are most important to Steve Winter. The career National Geographic photographer, a past recipient of the UK Natural History Museum’s Wildlife Photographer of the Year top honour — and a nominee again this past year, in the environmental awareness category — doesn’t see his role so much as inspiring a love for nature as galvanizing people to action. And as much as his photos of tiger moms playing with their cubs have moved a generation of National Geographic readers over his 35-year-plus career as a cameraman specializing in big cats in the wild, he sees his role now as warning the world that planet Earth’s remaining wild cats — all of them — are in serious trouble. Winter didn’t want the article to be another photo essay on the natural history of South America’s most elusive jungle predator but rather a carefully researched treatise on the threats faced by jaguars in the wild, from development projects to poaching, and the effect the jaguar’s population crash is having on local indigenous culture and heritage. In a wide-ranging, exclusive sit-down conversation this past summer in Los Angeles, Winter — fresh off a plane from Peru — explained that while he appreciates Sir David Attenborough’s assessment during a 60 Minutes interview that nobody wants to be told the world is going to hell and it’s all their fault, it’s time for all of us realize what’s happening behind the camera on all those pretty pictures. As an example, Winter cited his photography of tigers in the wild, a lifelong project that has seen him visit most of India and Nepal’s major wildlife parks over a 30-year period. “I’m doing tigers,” he recalled, “and I keep hearing about Tadoba, Tadoba, Tadoba. Taboba Tiger Reserve. So, I see pictures of Tadoba. And they’re regular old tiger pictures, nothing unusual. “Then, one day, I’m driving up to the park gate and I’m surrounded by the biggest coal mine I’ve ever seen in my life. Open pit. And at the edge of that coal mine is the beginning of this tiger reserve. Now that tiger reserve is under direct threat because of the coal mine — but I’ve never, ever seen a photograph of it. “So I go in, take pictures, then we do a video for Nat Geo, and I go in again. No one questions me because I’m a westerner. I stand on top of a rise, wait for these giant trucks to come by with tires as big as this ceiling. “I feel that that’s important, because you have to understand that all the protected areas in India lie on top of these coal reserves and they have a new prime minister, Manmohan Singh Narendra Modi, who would like to go in and take that. “Now if you don’t realize the extent of that, that if you walk back not that far from the border of the park you’d fall into one of the biggest mine pits I’ve ever seen — if you don’t know that exists — then you can’t put those two things together. This reserve is under threat, and that’s important because this is the stronghold, the foundation for all the other wild tigers on the face of the earth. Winter began his career as a traditional photojournalist, covering the world’s hot spots and recording the remains of vanishing cultures. He came to nature photography late in life; he estimates he didn’t see his first big cat in the wild until he was in his early 30s. Interestingly enough, given the subject matter of his photo essay for this month’s National Geographic, that cat turned out to be a jaguar. And a black jaguar at that, that scratched at his screen door late one night while he was overnighting in the rainforests of Guatemala. It was a very different animal, though, in a very different part of the world, that made him realize the power of those disturbing photos that make you want to turn the page. “The pictures you don’t want to look at are very important,” Winter said. “Those are the images that have done more in my career than any other. Because I saw how they propelled people to action. “The best example I can think of, from early in my career, was when I did a story on the Kamchatka bears. We were invited by this outfitter to come to this hunting camp in Alaska. They were losing all these 14-, 15-foot bears. The guy knew why; I just don’t think he wanted to admit it. It was because they had a guaranteed hunt, which means nobody would leave without a dead bear. A bear trophy. Obviously, they were killing everything, including young females. “I had a picture of all these skinned bears, the heads sitting in the snow, with bare teeth, skinned heads. It couldn’t have been more gross. The heads were getting ready to go into the hot springs, which would get all the dead meat off, leaving a perfectly clean skull, courtesy of mother nature. “Well, right off the bat, that project got a hundred grand. It turns out each hunting outfit was counting each bear three times. So they thought they had three times more bears than they actually had. Winter’s most famous image — by far — was of a wild mountain lion living literally in the Hollywood Hills, surrounded by a metropolitan area of some 10 million residents. Winter used a camera trap, a technique he pioneered decades earlier while doing a story on the elusive snow leopard in the mountains of Nepal. “The photo of the Hollywood cougar galvanized the people of LA,” Winter recalled. “The image on the front page of the LA Times excited people. It made them realize they live in such a huge metropolitan area, and yet there is actually a mountain lion in an eight-square-mile park. In a post later this week, Winter expounds on what makes a great photograph; on how camera traps changed the game, both for him personally and for conservation photography in general; on when he felt most awkward while on the job; on what it feels like to return to civilization after weeks and even months in the wilderness; on what National Geographic meant to him growing up as a small boy in rural Indiana, and what the society has brought to the world today; on the special challenges posed by jaguars; and why he now considers the lecture circuit to be his greatest calling. ©Steve Winter/Finalist, NHM Wildlife Photographer of the Year, 2017. Winter’s latest nature film, Jaguar vs. Croc, anchors National Geographic Channel’s “Big Cat Week,” premiering Dec. 10 at 9/8c. ‘It’s amazing’ — how new NASA time-lapse video shows the Earth breathing. Time-lapse videos are a dime a dozen these days, or so it seems. It takes a lot for one to stand out. That’s why NASA’s video, released earlier this week, of how the Earth has changed over the past 20 years, was so stunning. It makes it look almost as though Earth is breathing. The implication is that our home planet is a living being, both beautiful and fragile. Naturally, climate-science deniers have taken to message boards — on YouTube and elsewhere — accusing NASA of playing to the climate-change crowd, but anyone with a sense of wonder can’t help but be moved by what they see. NASA scientists created the time-lapse video from data recorded by satellites orbiting the Earth, and shows how life has changed during a time of great social, economic and geopolitical upheaval. The “breathing” effect is caused by repetition of the seasons, as they change throughout each year. The colour green represents life on land. Turquoise represents microscopic organisms in the ocean. And white represents winter snows followed by spring thaws. Heat moves around the planet, sea ice grows and shrinks, and vegetation blooms and recedes, changing with the seasons. That may seem obvious, even to climate-science deniers, but what lends the time-lapse video scientific weight is that it reveals the behaviour of oceans and land simultaneously, over two decades. Researchers can both monitor ocean and forest heath, and track conditions in fisheries and agriculture at the same time, to see if there are any connections. The project was designed in part to measure the environmental contrasts between El Nino and La Nina, when tropical ocean temperatures in the Pacific shift from being warmer than average to cooler. Those shifts have far-reaching implications on climate patterns throughout the planet, from severe droughts in California and the Pacific Northwest to more volatile monsoons in South Asia and disruptive rain patterns in food-producing regions as far away as the Horn of Africa. As with all science, small details play a large role in shaping the big picture. The time-lapse video shows, for example, how phytoplankton growth in the oceans can have a dramatic impact on dry land. The satellites found plankton blooming in ocean regions previously thought to be devoid of life. The Sea-Viewing Wide Field-of-View Sensor (SeaWiFS), as it’s known officially, was launched in 1997, and spent the next decades and more looking down on us from orbit 700 kilometres (about 435 miles) overhead. The satellite’s original purpose was to collect data on the bio-optical properties of the Earth’s land masses and oceans, but it also watched the Blue Planet’s living colours change with the seasons — hence the time-lapse video released for public view. Past is prologue. For researchers, long-term trends in the past help provide a glimpse of things to come in the near future. Satellite data is used to monitor the health of agricultural crops, rainforests and ocean fisheries around the world, with a mind to hopefully being able to forecast future disasters. The difference between now and 1997, when the SeaWiFS satellite was launched, is that technology has advanced to the point where sensors can pick up the finer details at wavelengths that can reveal what’s going on at a chemical level. Changes in the light reflected from plants, for example, can reveal the exact moment when photosynthesis is converting carbon dioxide and water into sugars. Climate change isn’t just about receding polar ice caps: The NASA survey has also revealed the expansion of so-called “biological deserts,” uninhabitable regions that have grown markedly in the past two decades. Meanwhile, green shrubs are expanding their reach into areas once believed to be too cold to sustain life. A metre-long worm with dagger-like teeth rising from the coral reef. A cuttlefish hypnotizing its prey by turning itself into an underwater lava lamp. Dead-eyed sharks gorging on spawning grouper fish, like an undersea adaptation of The Walking Dead. Just another night for Blue Planet II — in the U.K., that is. Blue Planet II won’t bow in Canada and the U.S. until spring, 2018. BBC America won’t be more specific than that, at least for the time being. BBC Earth, the tepid Canadian version at any rate, will follow suit. Even though it hasn’t aired yet in North America, the David Attenborough-narrated follow-up to 2001’s The Blue Planet is already making waves, so to speak. And not just in the UK, where the first episode went into the record books as the most watched program of 2017 so far, when it debuted on Oct. 29. BBC’s marquee wildlife series was seen by more than 14.1 million viewers the week it aired, according to UK media reports. That’s including repeats, streaming and PVR viewing in the week following the initial broadcast, but still, that’s a telling number. The UK Daily Mail reported this past weekend that Blue Planet is such a hit in China that it slowed that country’s Internet. Yes, consider the source — the Daily Mail is the UK intellectual equivalent of the New York Post, but still: Even the idea that Sir David Attenborough, who the Daily Mail described tongue-in-cheek as “the most viewed creature on Earth,” could slow China’s internet service — owing to all those downloads, see — is a conversation starter in itself. Blue Planet II has already had a profound effect, in other words, even if it has yet to air in the land of The Walking Dead and NBC Sunday Night Football. The world’s oceans — one of planet Earth’s last enduring natural resources — are in serious trouble, environmentally and climate-wise, and yet they remain home to many of Earth’s most enduring, eye-opening mysteries. There’s something more at play, too. “I can remember with uncharacteristic clarity watching the first episode of The Blue Planet,” Heritage added, “thanks to its context. BBC One broadcast the first episode at 9pm on September 12th, 2001, and it felt . . . necessary. Graphic images of the Twin Towers in flames were on the front of every newspaper. Television schedules were shoved to the wall in favour of rolling news coverage. It was the topic of every conversation, no matter where you went. The anxiety of the moment was suffocating. We are living in disquieting times once again, even if these times lack the immediacy and emotional hot button of the 9/11 terror attacks. Blue Planet II, from what I’ve seen of it so far, is unlike anything else on TV. The second episode — called, appropriately enough, “The Deep” — ventures to the bottom of the ocean, an area we know less about than we do the surface of Mars, and explores where life may have started. Filming was dangerous — life-threatening, even — on several occasions. In one instance, a submersible deep dive in Antarctic waters nearly ended in disaster when a leak sprang a less than hour after submerging. Cameraman and producer managed to avert catastrophe by first finding and then plugging the leak with whatever they had at hand. Then there was the producer who, while swimming in deep waters off South Africa, found himself within arm’s length of a rarely seen species of octopus, only to be attacked — cameraman and octopus together — by a marauding shark. Then there gnarly critters like the colourfully named fang tooth fish, which roams the depths, “snapping at anything that moves or glows,” and the sea toad fish, an ocean predator which can transform its fins into feet, like some kind of marine, sub-aquarian superhero villain. Blue Planet II was four years in the making. It was filmed virtually wherever there are oceans, from Mexico to Japan and New Zealand, with stops at Hornoya Island, Norway; Sipadan, Borneo; Monterey, Calif.; the Sea of Cortez off Mexico; and Australia’s Great Barrier Reef along the way. If programs like Blue Planet II have anything more to offer than the original, it has to do both with the increase of scientific knowledge over time and rapid advances in camera technology, Attenborough explained. There is more beauty in truth, even if it is a dreadful beauty, John Steinbeck wrote, in East of Eden. Attenborough would agree. Dances with cheetahs: Kim Wolhuter films cheetah family on foot for PBS Nature special. If there’s one thing lifelong conservationist and wildlife filmmaker Kim Wolhuter hopes viewers will take away from Wednesday’s PBS Nature special The Cheetah Children, it’ll be a sense of wonder for what remains of the natural world. Viewers themselves can take solace, too, in knowing that, if only for an hour, the news events of the day will seem faraway. PBS’s Nature — 36 seasons and climbing — has always been one of the more sober, clear-headed, less sensationalist nature programs, but it’s also carved out a hard-earned reputation for family-friendly programming that’s neither maudlin nor condescending. The Cheetah Children, in which Wolhuter tracked a mother cheetah and her five vulnerable, weeks-old cubs with his camera through the thorn scrub and miombo bush of Zimbabwe’s Malilangwe Wildlife Reserve, has some hard lessons about natural selection and survival of the fittest, but it’s also a window into a world of almost breathtaking beauty. And simplicity. There are no contrived confrontations between man and beast, no deliberately manipulative scenes designed to play on the audience’s emotions. In the best tradition of PBS Nature documentaries, what the cheetahs see is what you get at home, warts and all. Warthogs, too. First, some background. There’s some of this in the program, but The Cheetah Children was never intended to be an informational lecture, or a PSA for saving endangered species per se. The cheetah is the world’s fastest land animal, capable of sprints of 70 mph over short distances. More impressively, perhaps, the loose-limbed, lightly built cat is built for acceleration — an average adult cheetah can hit 45 mph in two seconds, faster than any Ferrari built by human hands. It is also in serious trouble, and not just for the usual reasons — habitat destruction, poaching, trophy hunting, illegal wildlife trafficking for the pet trade, and so on. A genetic bottleneck early in the cheetah’s prehistory means that their gene pool today is tenuous at best. Many cheetahs are born with genetic deficiencies — a weak jaw, a lame foot, brittle bones, etc. Any kind of leg injury to an animal built for speed is tantamount to a death sentence. Nature has compensated, as viewers learn early on in The Cheetah Children. Cheetahs have big litters, because the infant mortality rate is so high. Whereas the stronger, more powerful — and more genetically successful — leopard has one or two cubs, a cheetah may have as many as 10 or more. Depending on the terrain, and how many rival predators there are in a cheetah’s territory — lions, leopards and hyenas will all kill cheetahs on sight, because nature has conditioned predators to see any competition for food as a rival for their own survival — as few as two cheetah cubs may live to see adulthood, and often not even that. Wolhuter took great pains in The Cheetah Children to show that this is a natural process, one more complication in nature’s game of survival. Even so, knowing the species is in real danger of extinction in our lifetimes, it’s hard to watch. Wolhuter, the grown son of one of South Africa’s original park wardens — his father, Henry Wolhuter, was at one time Head Ranger of South Africa’s world-famous Kruger National Park, southern Africa’s equivalent of Yellowstone National Park — grew up wild. He learned from a young age how to survive on his own in the wilderness, and how to read nature’s signs, good or bad. He learned walk barefoot through thorn scrub, and in so doing learned how to blend into his surroundings and pick up on the small details that can mean the difference between survival and dying. He learned that wild animals can become more accepting of people outside vehicles, once they determine the intruder poses no threat. The result is that today, virtually alone among contemporary wildlife filmmakers, Wolhuter makes nearly all his films on foot. 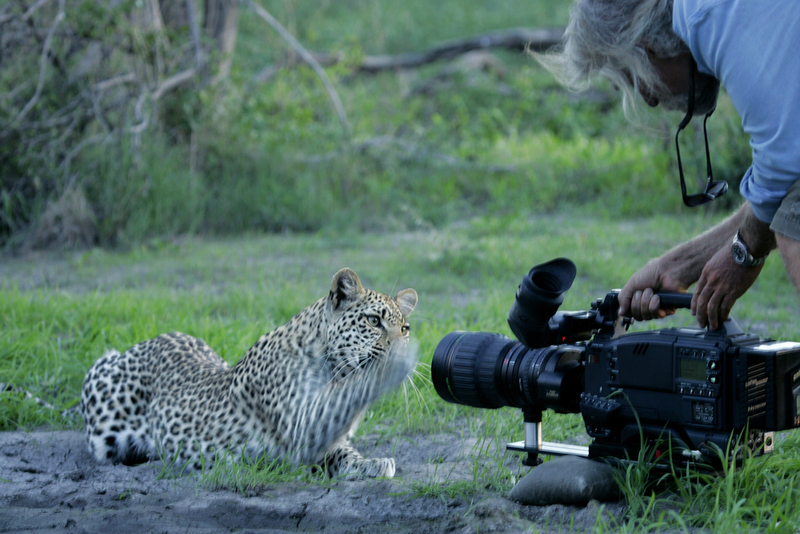 That affords him a rare intimacy into the lives of his live subjects, one rarely captured by other wildlife filmmakers. At a recent meeting of the Television Critics Association in Beverly Hills, Calif. — a world apart from the mopane forests and Zambezi teak trees of Zimbabwe — Wolhuter shared some of his innermost thoughts about living wild and one of his earlier documentaries, the self-explanatory Man, Cheetah, Wild, made at the time for the Discovery Channel. Malilangwe Reserve is in Zimbabwe’s southeastern hinterland, near the Mozambique border and about as far away from Zimbabwe’s tourist-travelled Victoria Falls as it is to get and still be in Zimbabwe. “There's no special muti, as we call it, or juju,” Wolhuter said. “It's just that I've spent so much time with them. They've got to know me, and I've got to know them. It's hard portraying myself to them, how I can present myself with complete confidence. They can read that and understand that. They feel it. Being on foot makes all the difference in the world to the resulting film. Wolhuter is not crazy, though. There are certain predators he wouldn’t dare get that close to, no matter how well he knows their habits or how well he read their emotions. “Lions. Lions are . . . well, for one, you're not just dealing with one individual. You're dealing with a whole pride. But also, they're just far too big . Lions are incredibly aggressive animals, in that they want to kill anything and everything. Any other predator that steps up, comes anywhere near them, they'll try and kill it. So, you know, they're . . .